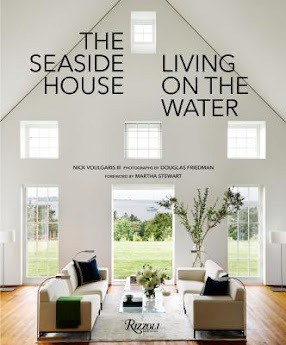 house? 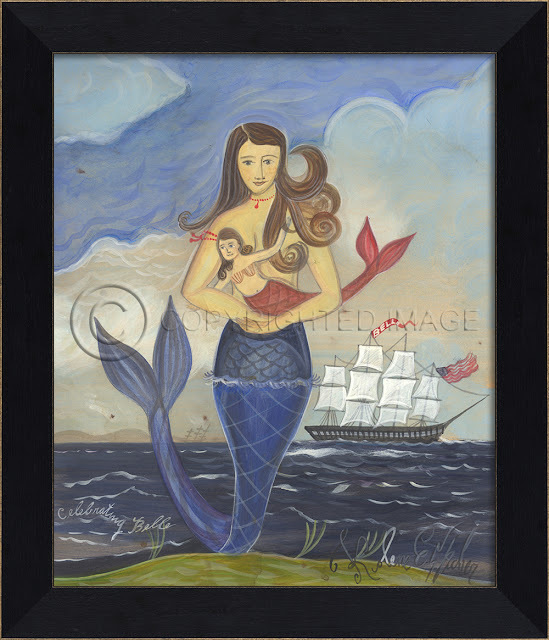 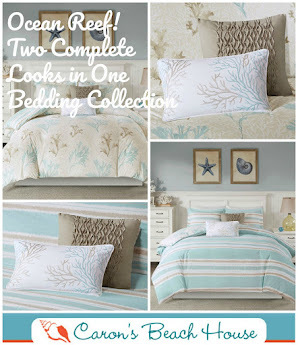 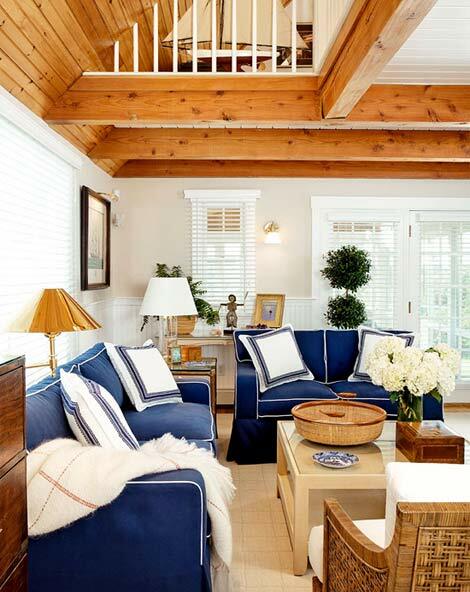 The answer is; you really can't miss when applying this classic nautical decorating style at your home! 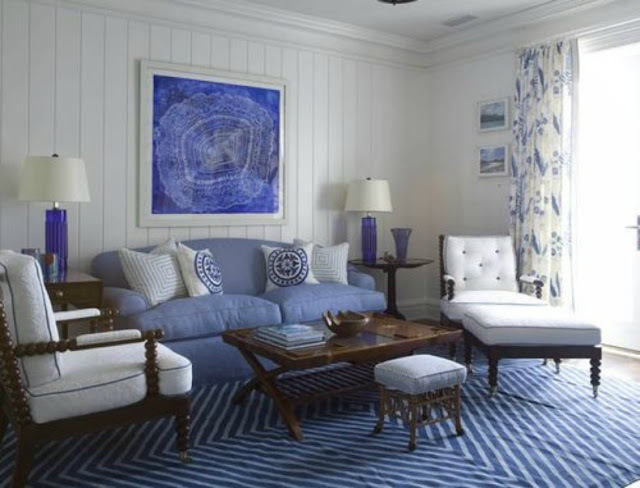 I have been collecting Blue and White room images on our Pinterest Boards, and thought I would show off a few of my faves for inspiration! 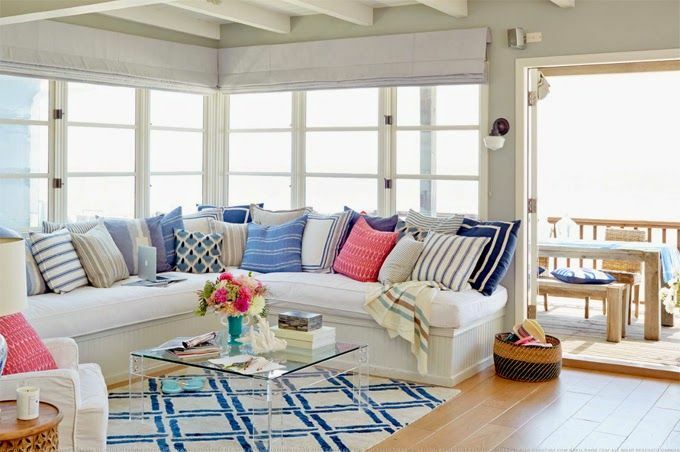 I tend to gravitate to more aquas and driftwood shades with a splash of red at my house, but I do LOVE the fresh, clean feel of blue and white. 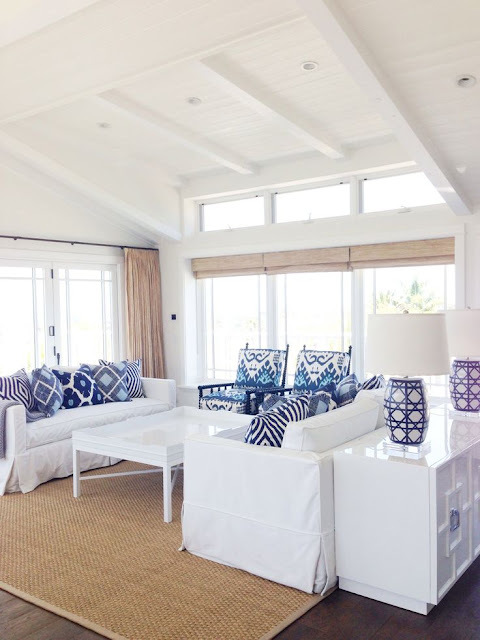 Using different patterns, fabrics and textures, blue and white decorating can be an incredible way to mix and match pillows, rugs, lamps and accessories with season changes or whenever you need an "attitude" change. 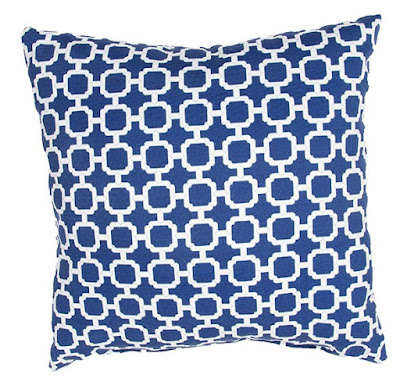 Bonus with blue and white? 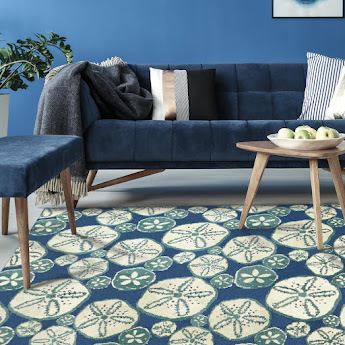 Using the right textures and patterns can feel "beachy" without using any obvious beach "themed" stuff; ie: anchors, shells, coral, ships, fish etc. 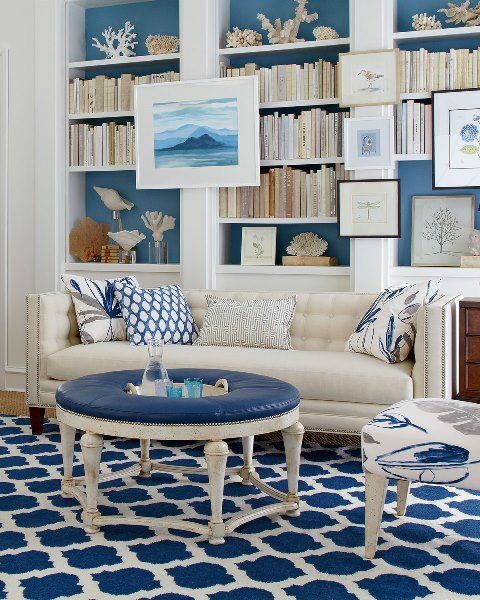 One day I will have a library wall at my house too - love this idea! 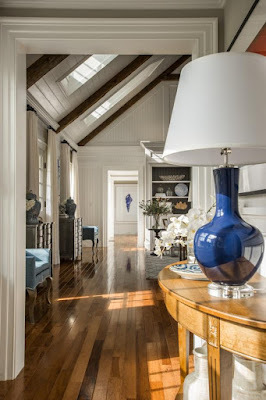 Nautical Cozy in Nantucket! 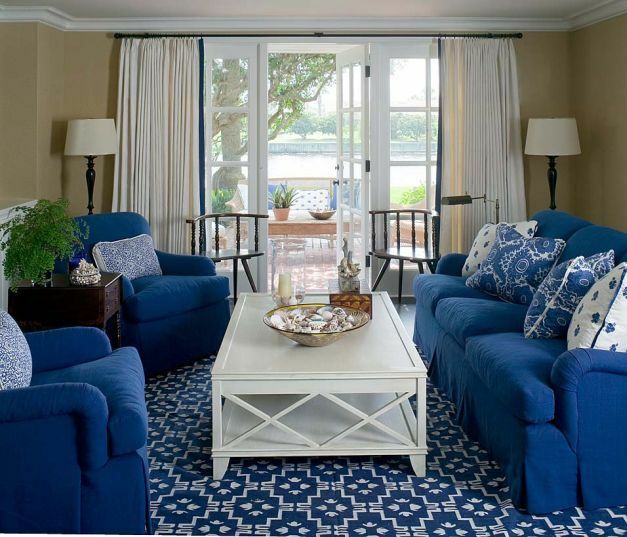 (Traditional Home) Check out the crisp, "non-slouchy" slip-covered navy blue sofa and love seat with white piping. 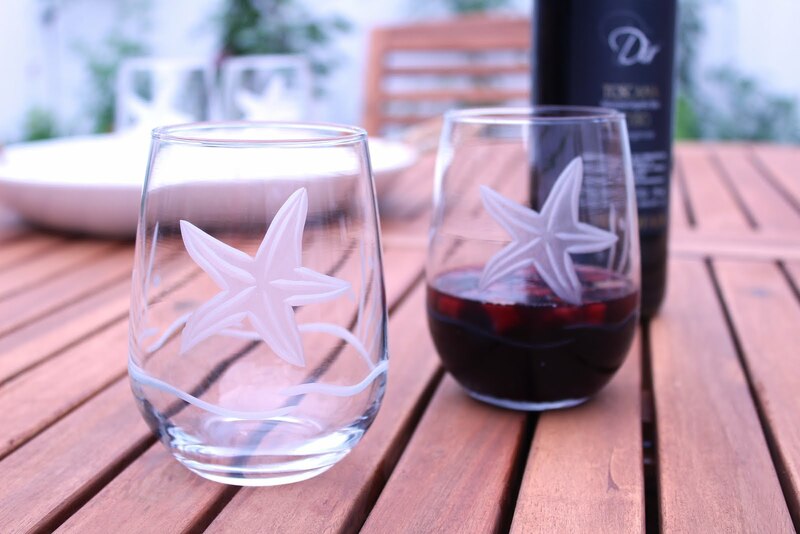 Great combo with natural rattan. 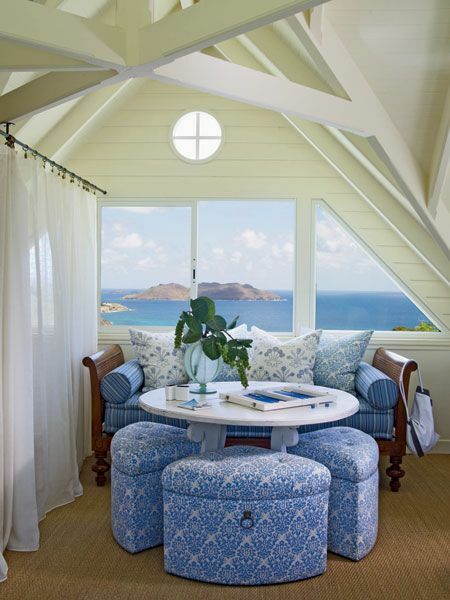 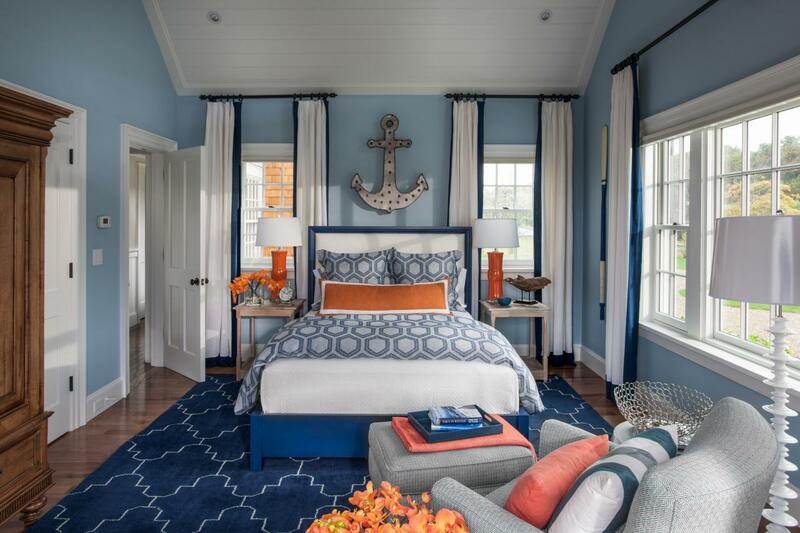 The 2015 HGTV Dream Home was chock full of blue and white coastal details - loved the guest bedroom! 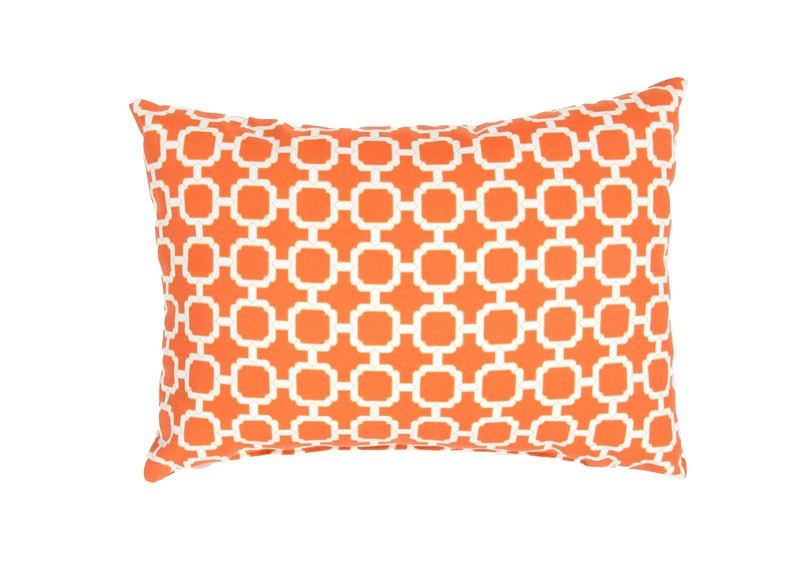 The pop of orange in the pillows and lamps really show off the blue. 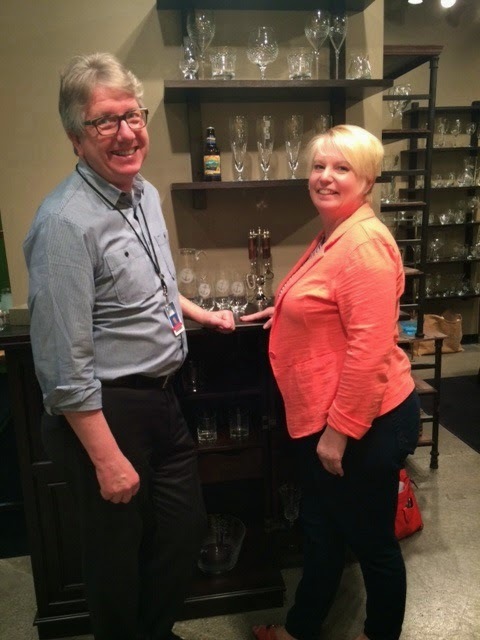 Check out the whole space over at HGTV. 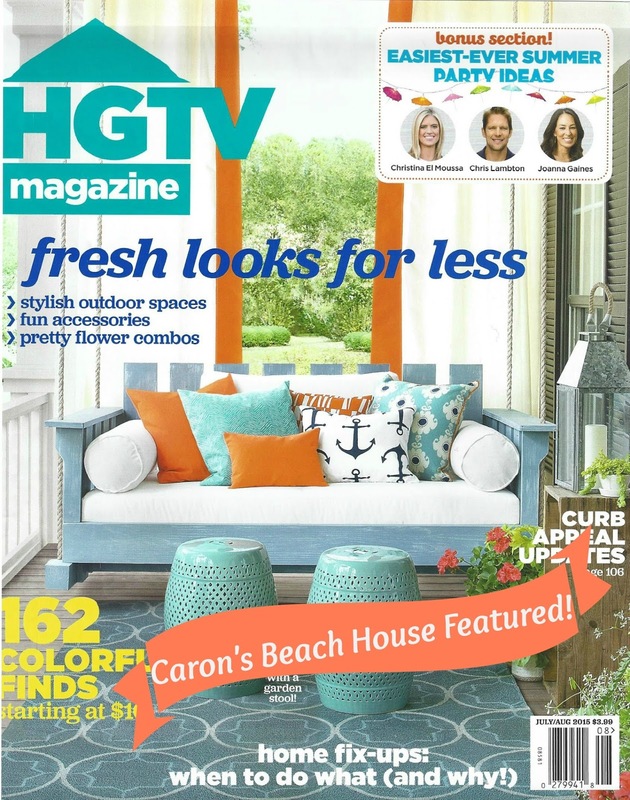 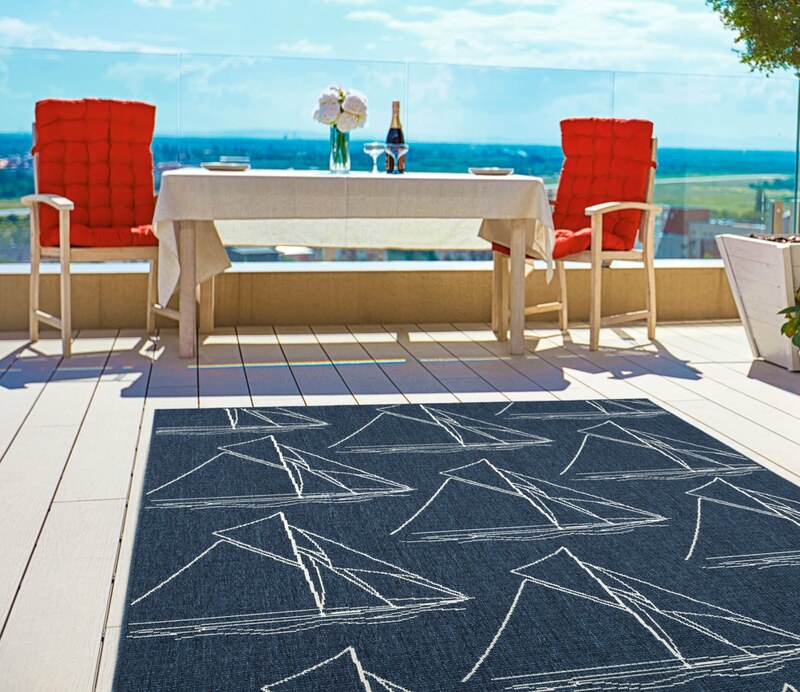 Fresh Looks for Outdoor Spaces - Look for Caron's in HGTV Magazine! 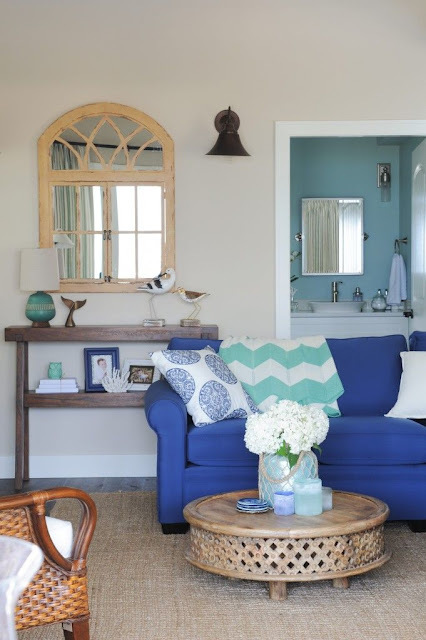 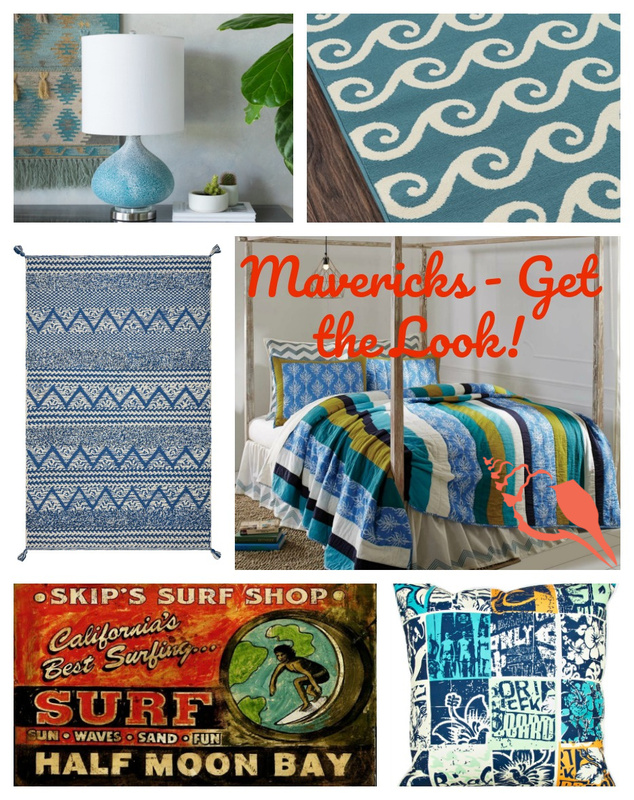 chock full with fresh color and new home decorating inspiration. 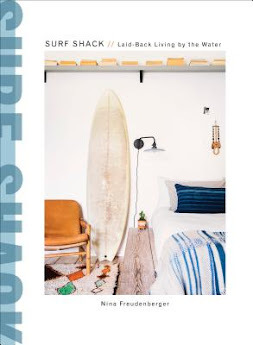 The most recent issue certainly did not disappoint! 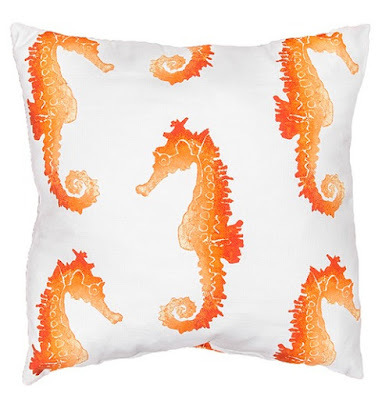 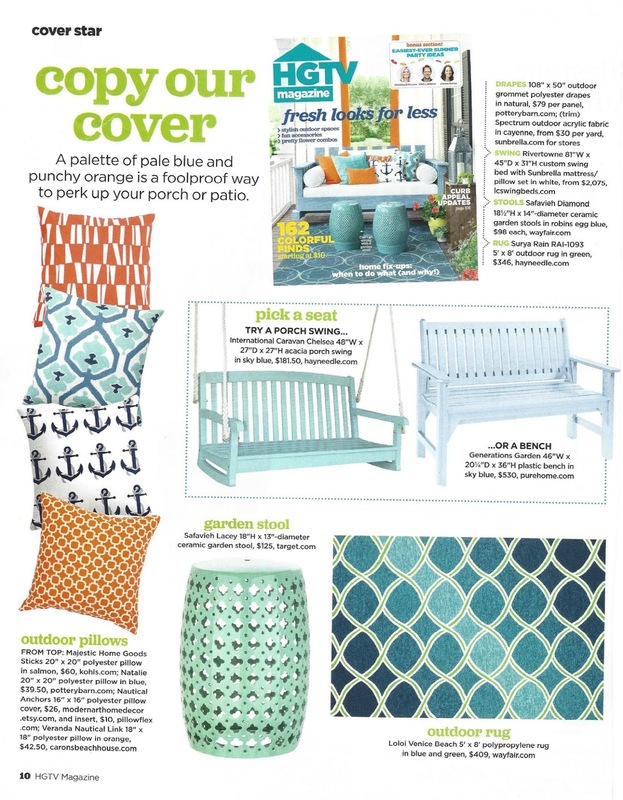 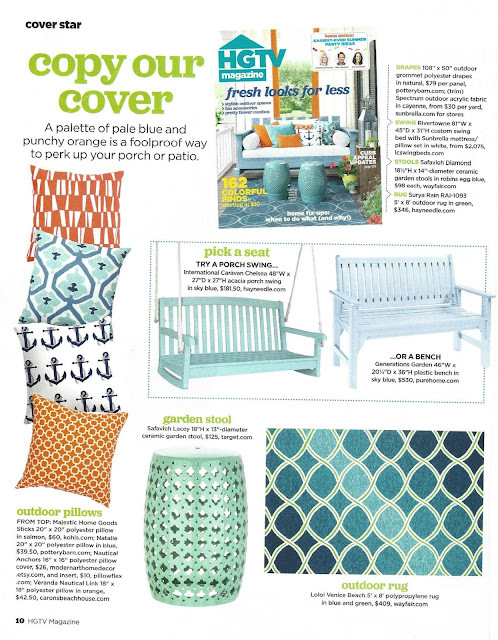 HGTV's stylists choose our Veranda Nautical Orange Link Pillow to be featured in their "Copy of Our Cover" article on page 10, and then again on the Glidden Color Inspiration page! 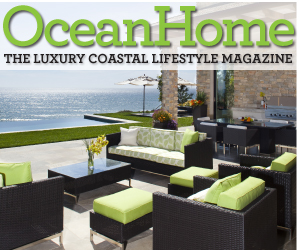 Pretty excited to see our company name in "lights". 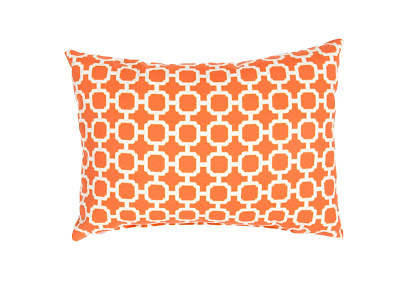 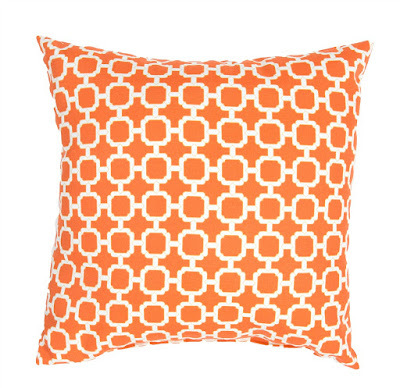 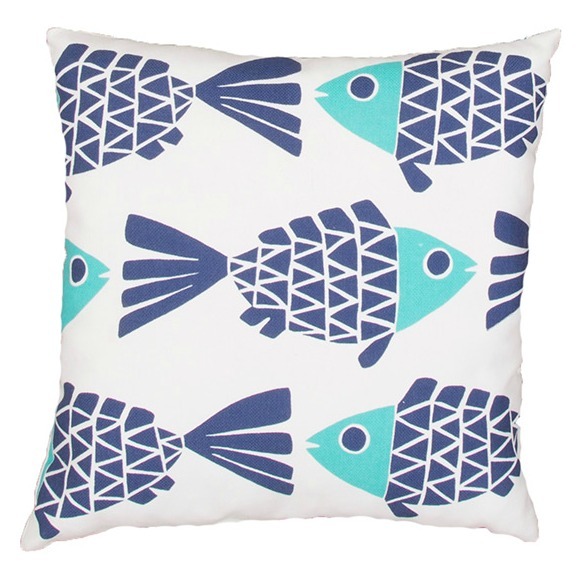 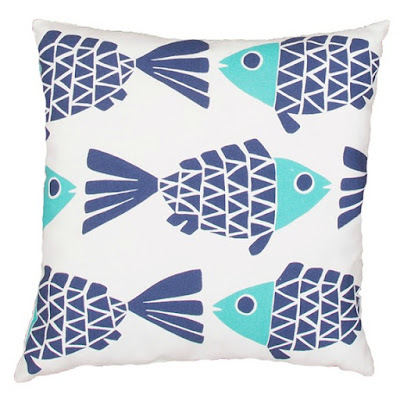 Especially with one of our new summer Veranda pillows, the Orange Nautical Link Pillow featuring a fun modern, nautical-like feel in a bright orange and white linked design. 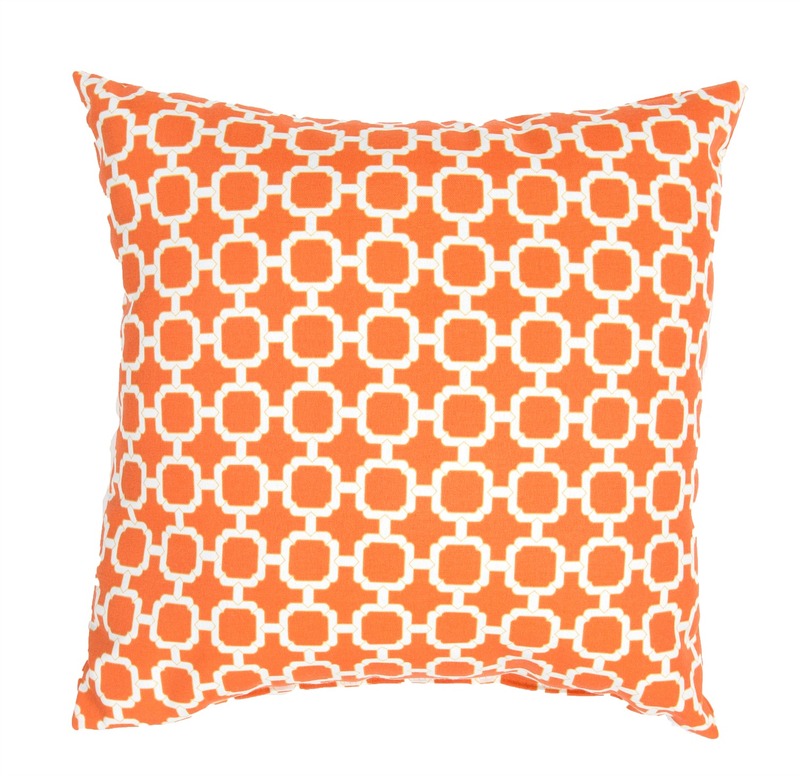 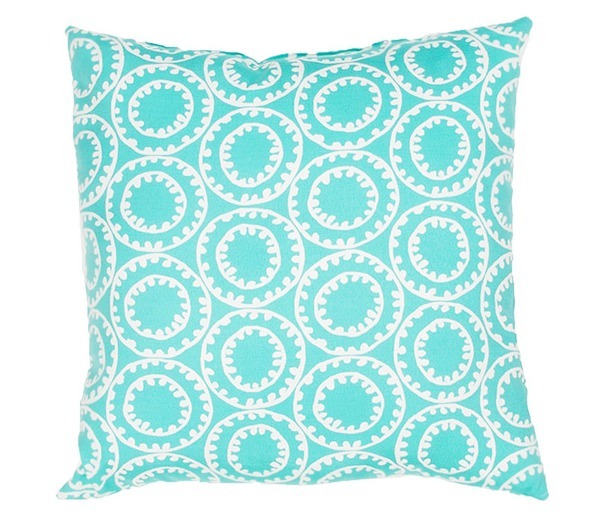 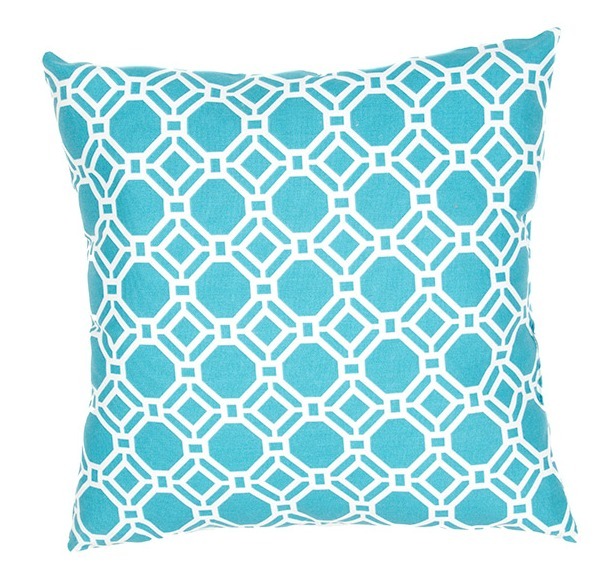 There are so many bright indoor-outdoor cushion choices in this collection - all made in America too. Here are a few more pillows in the Veranda collection - all wonderfully drenched in summer color to mix and match. Hope you get a chance to take a look at the July-August HGTV Magazine issue, so many fun, easy and affordable ideas to create an inviting summer space at your home! P.S. 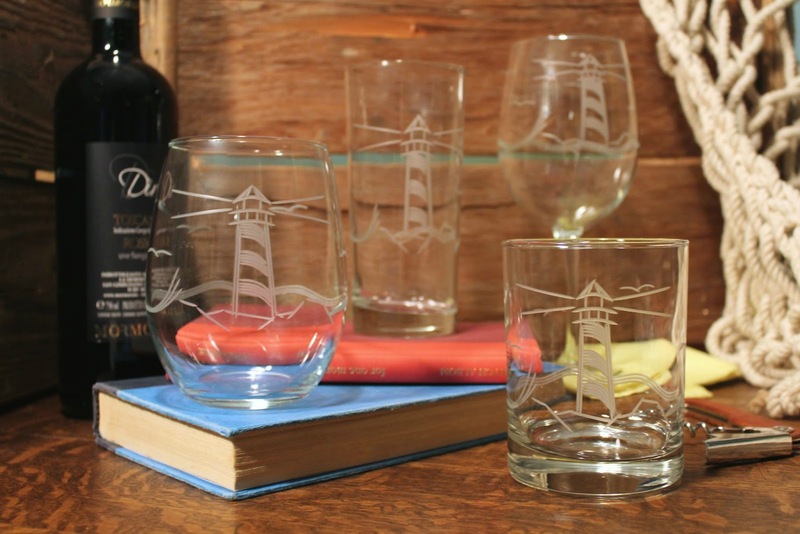 If you need a pretty iced tea glass or cooler to enjoy something delish on your front porch - Don't forget to check out our new Lighthouse Glass Collection!